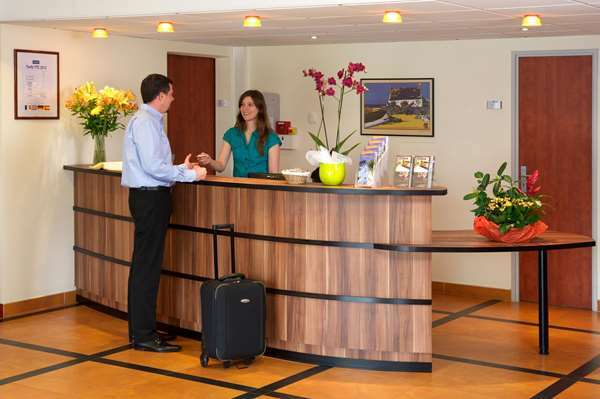 Recently established 3-star hotel with all the amenities Our Hotel Kyriad Quimper - Pont-Abbé is located 3 minutes from the Pont-l’Abbé city center, 15 minutes from Quimper and 8 minutes from Quimper-Pluguffan Airport. We have a large private parking lot available 24 hours a day. 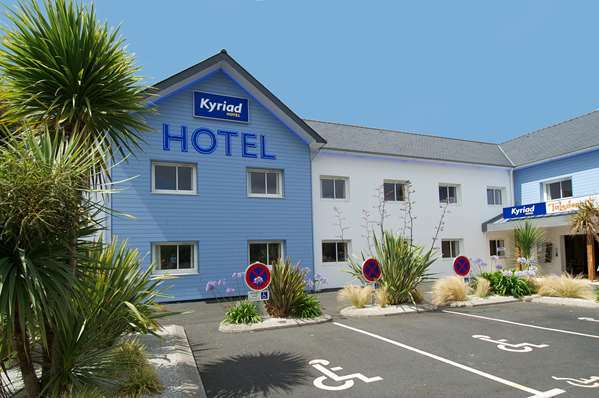 Hotel Kyriad Quimper - Pont-l’Abbé is open 7 days a week and has 45 rooms that you will love whether you are here for business or leisure: we have 41 rooms that can connect to another room for families, and 4 Premium suites. 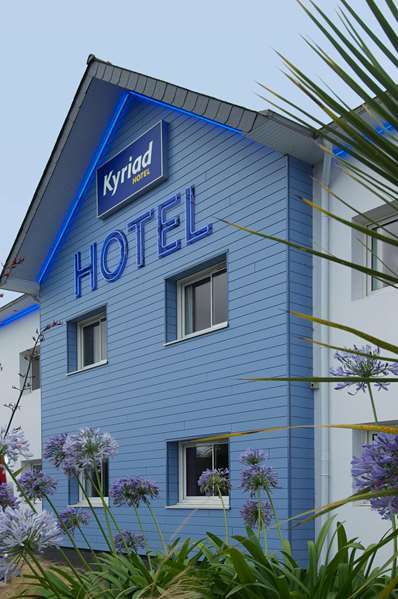 We are ideally located at the entrance to the city, and our 3-star Hotel Kyriad Pont-Abbé, is a perfect place to stay while exploringPays Bigouden: the Port of Guilvinec, the Penmarc’h Lighthouse, the Torchesurf spot, Tudy Island, Sainte-Marine, Pors-Poulhan, Penhors and its dune of pebbles bordering the beach. 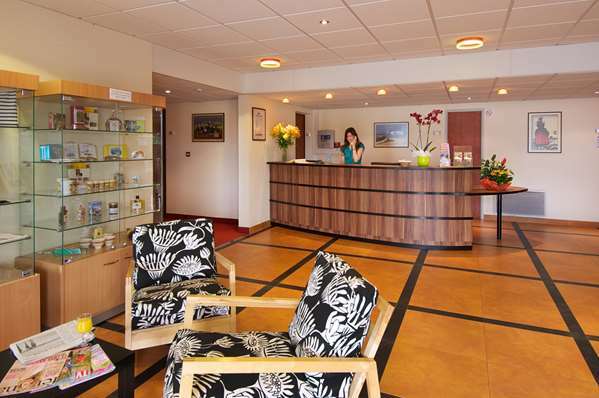 Our location will also allow you to visit the charming towns in our area, such as Quimper, Concarneau, Pointe du Raz, Locronan, Bénodet with its thalassotherapy center and casino. 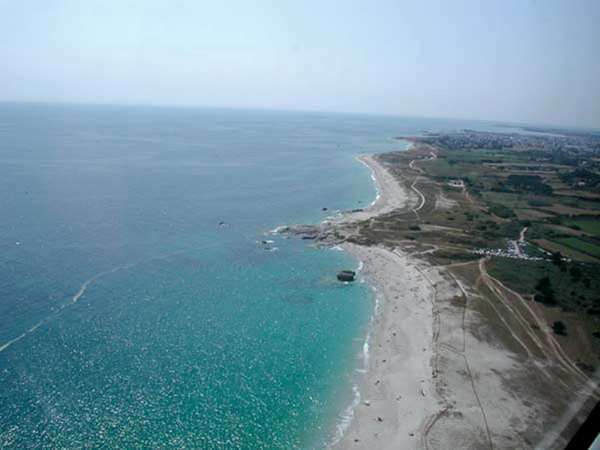 And you can also discover the beautiful coasts of Finistère with their 120 miles of trails by the sea that will certainly make you want to come back… again and again! 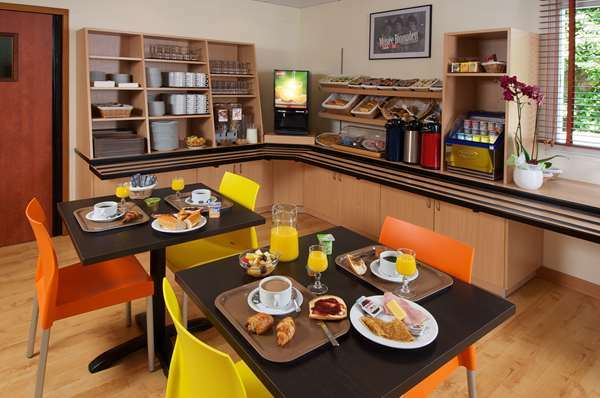 Hotel Kyriad Quimper - Pont-l’Abbé has 45 rooms with 2 single beds or a ""king size"" bed (70 in. wide) with duvet, quality mattresses and ""well-being"" or memory foam pillows. 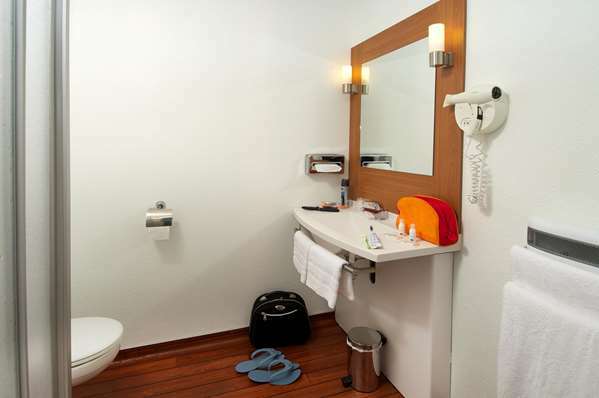 We offer 2 categories of rooms: - 41 comfort rooms -and 4 Premium suites (more spacious, lounge are, mini-fridge, large 47"" TV). 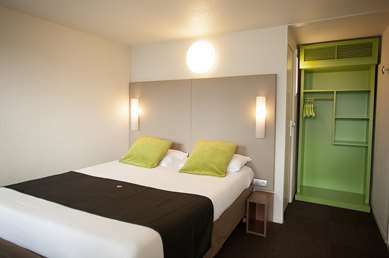 All our rooms are equipped with a large flat-screen 39"" flat-screen TV (47"" for Premium rooms) with Canal+, CanalSat and beIN SPORTS 1 & 2 channels, spacious storage space, a complete bathroom (large shower, toilet, sink, hair dryer, towel warmer), a desk with free unlimited internet access, (Wi-Fi and Ethernet), a courtesy tray (tea, coffee, cookies) and a bottle of water on arrival. 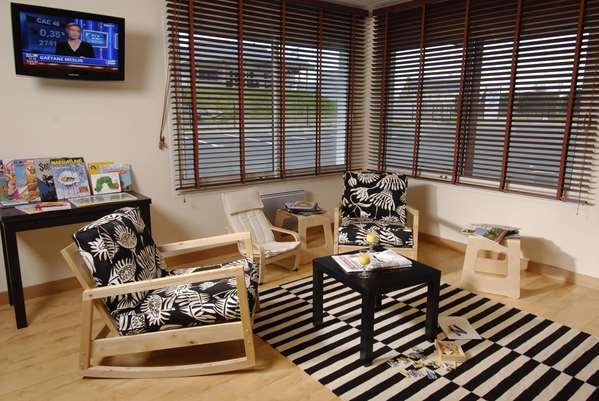 Our Comfort rooms can connect to form family rooms with 2 bathrooms, 2 desks, 2 TVs, etc. 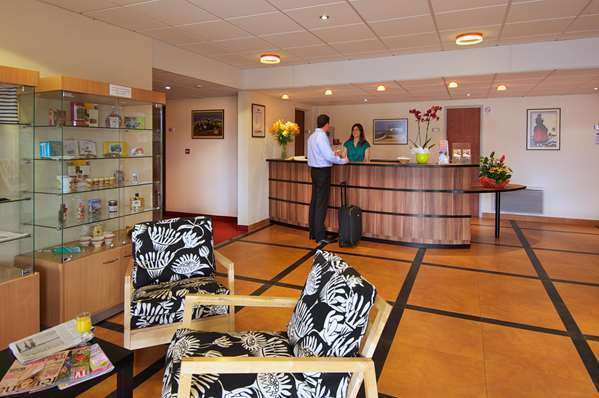 We have 2 rooms specially adapted for people with reduced mobility, with access from our hotel free parking lot. 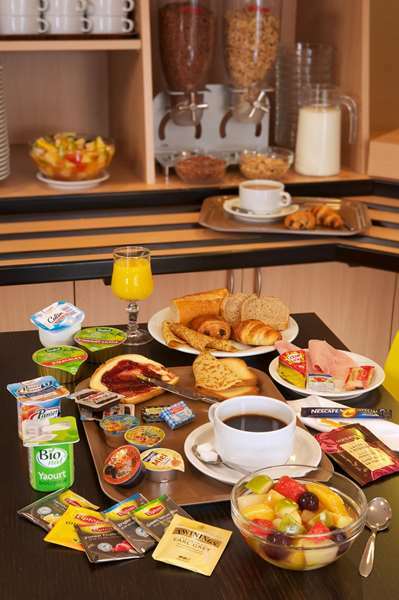 From 7:00 am to 10:00 am weekdays and from 7:30 am to 10:30 am on weekends and holidays, Hotel Kyriad Quimper - Pont-l’Abbé offers a delicious breakfast buffet (€9.50) so you can start your day off right. 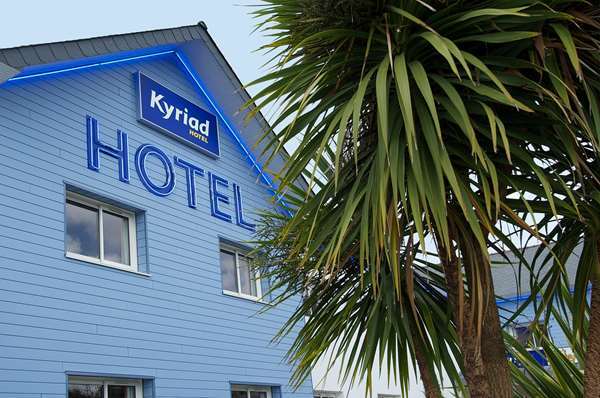 This Kyriad offers interconnecting rooms for families and that is our ideal arrangement as you don't have to go to bed when the kids go to bed. 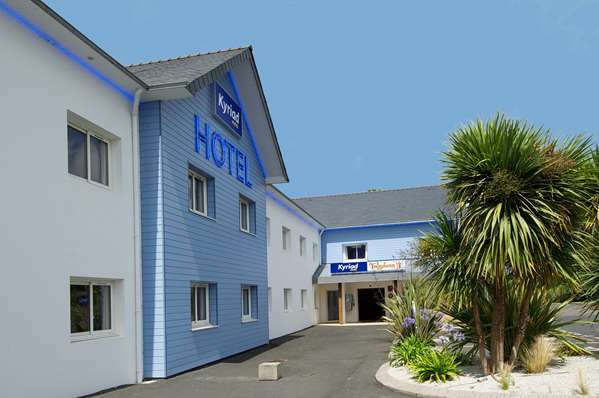 The rooms were a good size and clean and the price was attractive. 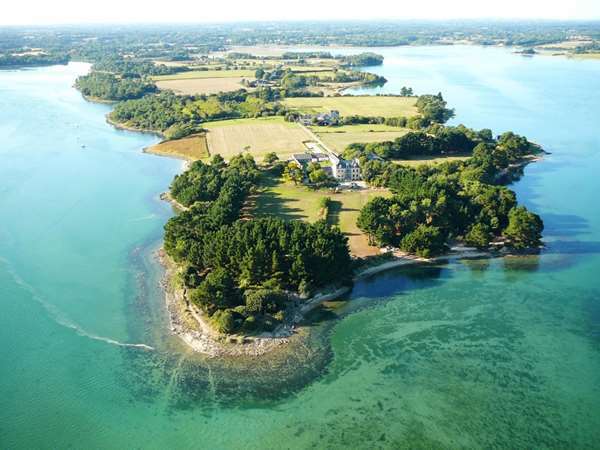 The lady at reception on the afternoon was extremely helpful and recommended us a great restaurant in Benodet (Le Sans Soci) and her colleague on the morning shift was also very helpful. Checkout is relaxed and parking is plentiful, onsite and free - especially important for us as we had a car full of camping equipment. 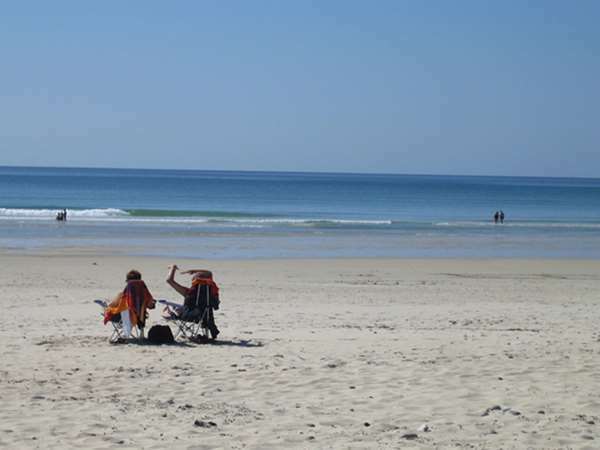 Travellers should also know that this hotel is very handy for the great 'Torch' beach which is about a 15 min drive away. I always thought the best service would be in a glamorous atmosphere but my last experience totally proved otherwise. 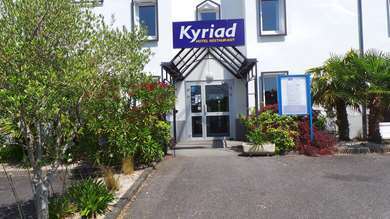 mid of July I have tried for the first time Kyriad hotel at el Quimper pont l'abbe, a simple 2 floors hotel but with a fabulous staff, tasty breakfast and a very well cleaned room at my return... so quality/price ratio is at 200%. 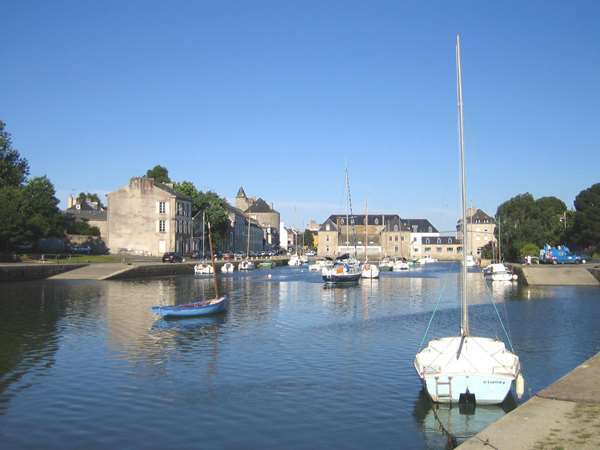 however it's better to be motorized upon visiting pont-l'abbe/ Quimper because eventhough the bus station is 5 min away from the hotel but the bus timing isn't very convenient for visiting the neighborhood.